Let’s take a closer look at the characteristics of this beautiful species, and my “Loretta” in particular. Although I named our fish “Loretta”, I later found out it is actually a male. How do I know this? Because the males go and build a nest for their spouses, which is what Loretta does when “that time of the year” arrives. They pick up all the branches they can find and make a cozy place for their woman to lay eggs in. If you have powerheads in your tank that aren’t always on, as I have, make sure your Royal Gramma isn’t spending time in there building a nest as mine did, because it almost ended bad when I didn’t see him in there and I put on the powerhead. Luckily he got away with some bruises and the scare of his life for a couple of days. No worries, he recovered completely and is still alive and kicking. As for all of my fish, the Royal Gramma is perfectly suited to keep in a nano tank. 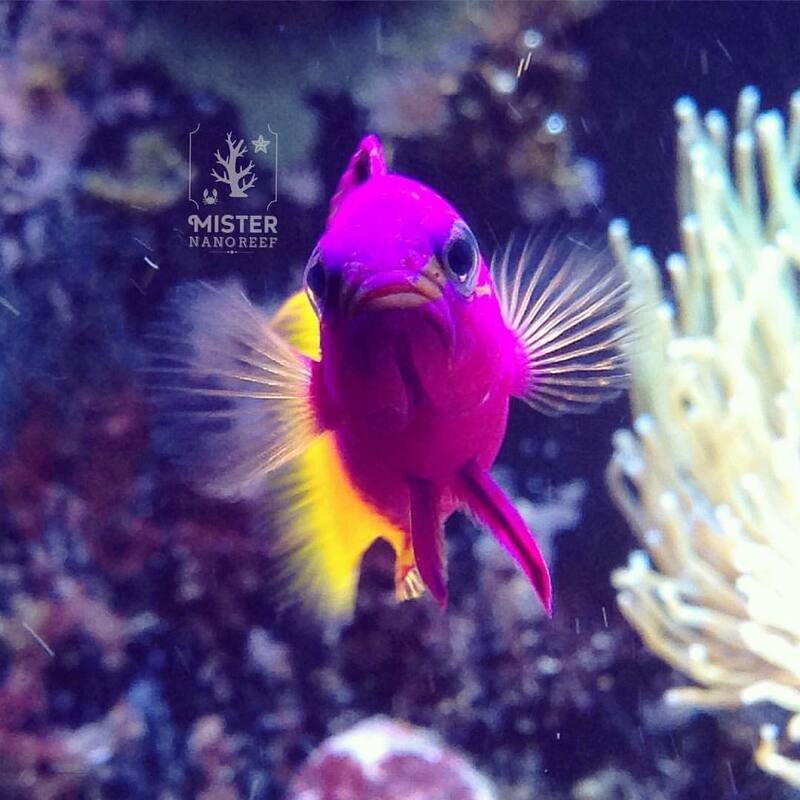 As mentioned before, it is an absolutely beautiful purple and yellow fish. 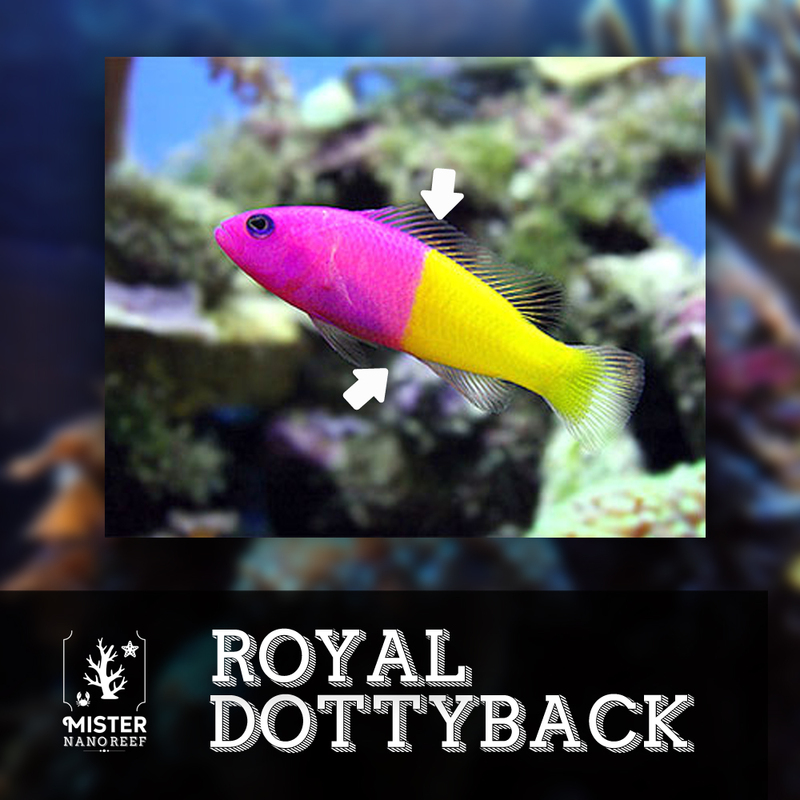 It is often mistaken for the Royal Dottyback, which can be more aggressive, so make sure you get the right one when picking out a Royal Gramma. The easiest way to see the difference is the gradient between the purple and yellow. 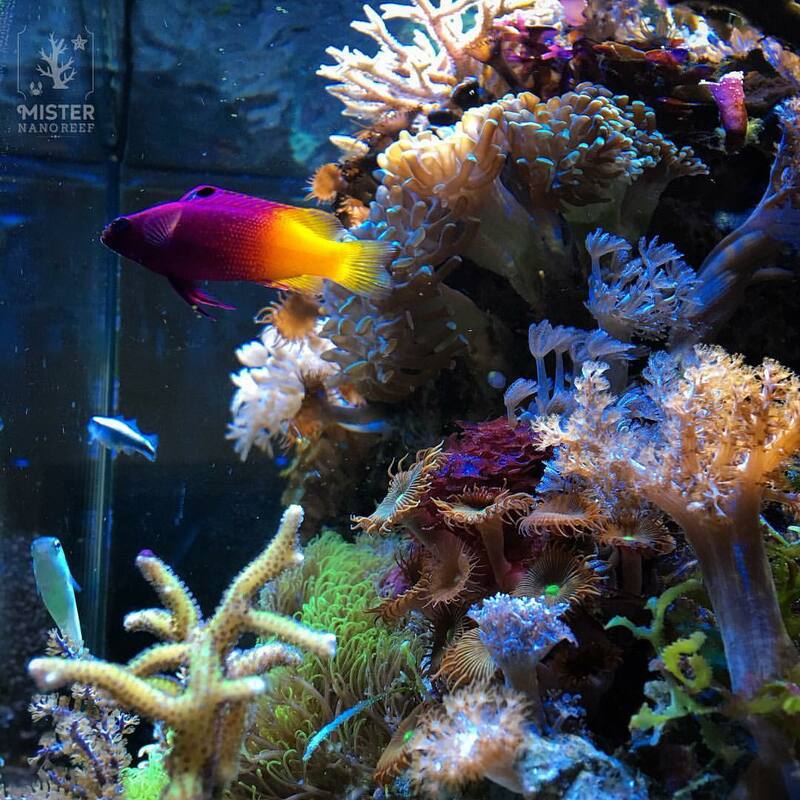 With the Royal dottyback, this is not a gradient but more like a straight line without color transition. The Royal Gramma then, can act aggressive in some cases also. 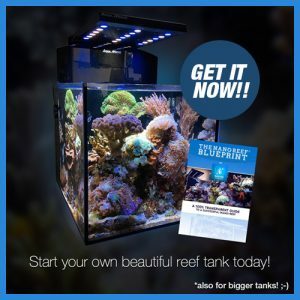 It IS a basslet, so be sure to keep only 1 in your tank unless you know it’s a mated pair. They are very territorial towards their own kind. 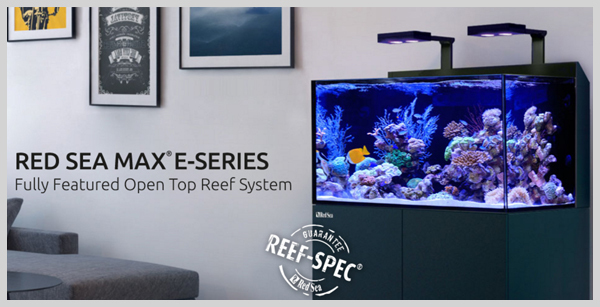 Towards other fish and critters however he can act like a big baller, but he really is reef safe and you shouldn’t worry too much about him causing real damage. 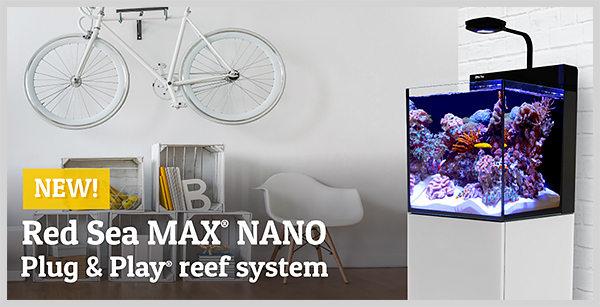 When you are getting one, you better build some cave like structures into your aquascape as they really love this environment. They are actually known to live upside down in caves in the wild. This is also the reason why in a lot of tanks you will not see them swimming around all the time and for most of the time hiding in between rocks. But if you make a habit out of feeding with the pumps off… just turn the switch and there he is! 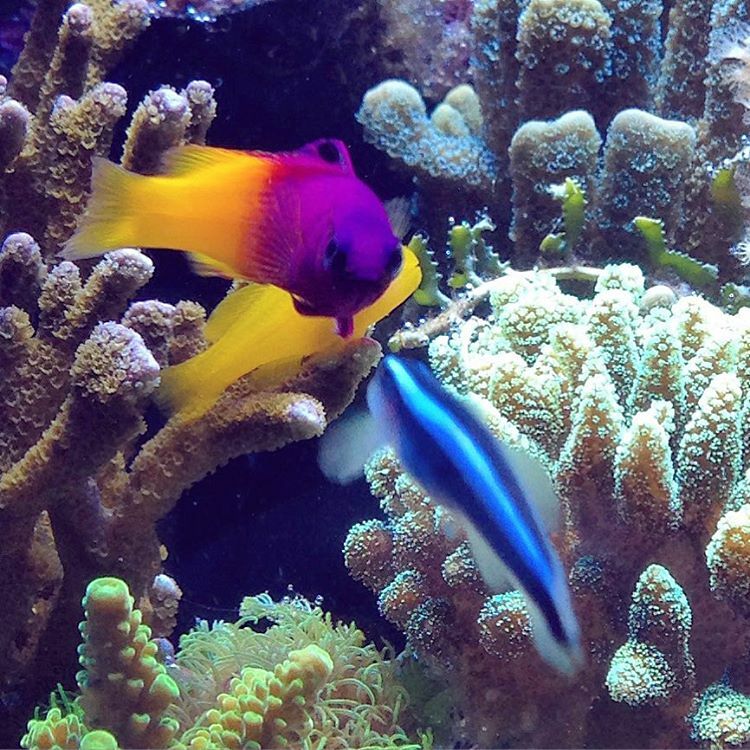 As with any other fish, make sure you get a healthy one so you do not spread any diseases in your tank. I noticed too late that the one I got was really stressed and was showing the first signs of “itch”. When I introduced him into the tank, he got all the other fish sick also. With some good care (and some garlic) I was able to turn it around without losing any critters. It never returned, so I would not say these fish are particularly vulnerable to itch. When it comes to food preferences, he is a carnivore so I would really advise you get some frozen food in different varieties. Mysis, brine shrimp, lobster eggs, fish eggs, he loves them all as long as it contains some nice and meaty pieces. The Royal Gramma is the perfect companion to be kept as a mated pair or solely in any tank, also in nano reef tanks. Just make sure you build him a nice cave so he can really feel at home and he will reward you with his beautiful colors and fun to watch but harmless temperament. 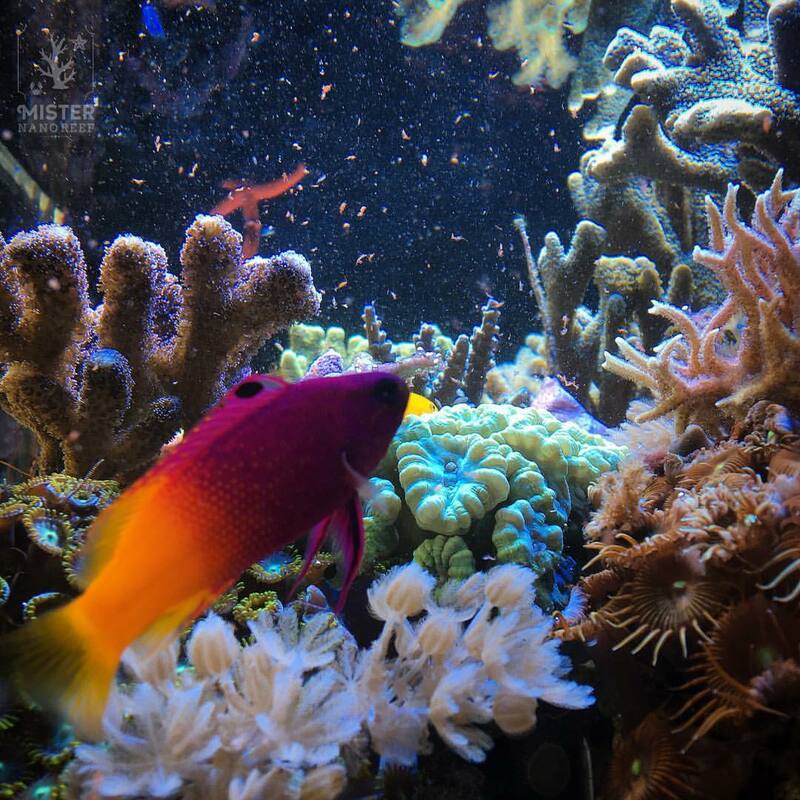 Do you have a Royal Gramma? What is your experience with it? Any problems or stories to share? Let me know in the comments below! I had one and same as your he showed ich signs when I introduced him, he dead!